November 24th, City of Ottawa Archives, Tallwood Avenue, Ottawa. DNA and Genealogy – Mr Frogs Wild ride. 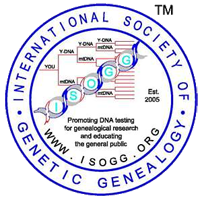 Not One But Two DNA Workshops! Have I mentioned how much I enjoy giving lectures, presentations and Workshops? I do. I do! On June 1st, 2018, at the Ontario Genealogical Society Conference in Guelph, ON, I will be doing a double Whammy! Two DNA Workshops! The first one, which already has it’s own post will be in the afternoon, DNA and the Global Family Tree. Then, Just when I thought I could sleep in after the fabulous Sleeman Brewery Tour on Thursday (list of all the Thursday OGS Conference 2018 Tours), I hear I have to get up early to present a workshop on DNA Matching, Working with your living limbs. 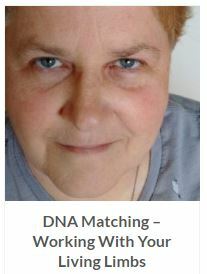 Leave a comment on Not One But Two DNA Workshops! Ontario Genealogical Society (OGS) Conference 2017 Social Media Team! Mags is a part of the OGS Conference 2017 Social Media Team! She will be roaming around the 2017 OGS conference 2017 tweeting and blogging and FaceBooking and Pinteresting…all about what is going on at the conference, throughout the weekend. She may even do a Grrandma’s Genes LiveCast from the Conference on Saturday at 3:00PM. Exciting Stuff! Leave a comment on Ontario Genealogical Society (OGS) Conference 2017 Social Media Team!